Spectacular 6 bedroom contemporary villa with amazing panoramic view over a golf course and the Mediterranean. 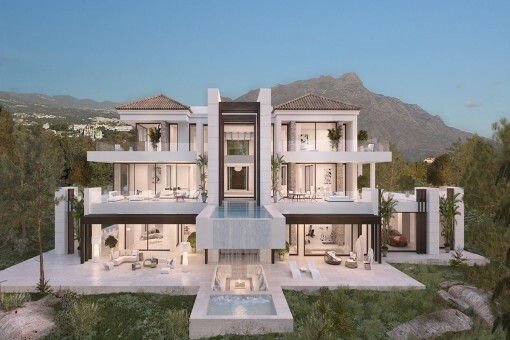 This sophisticated and spacious villa is designed by the renowned architect Carlos Lamas and is located on the higher part of urbanisation Capanes del Golf in La Alqueria (Benahavis). 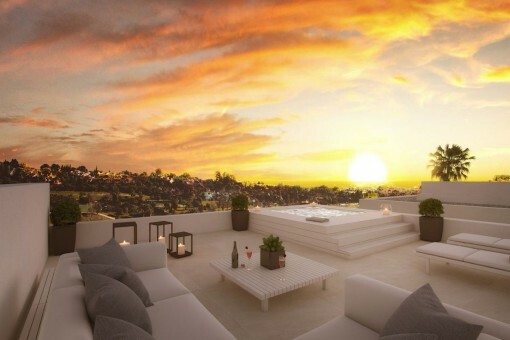 As of its orientation, it offers an unblocked view from all floors towards Gibraltar and the African continent. 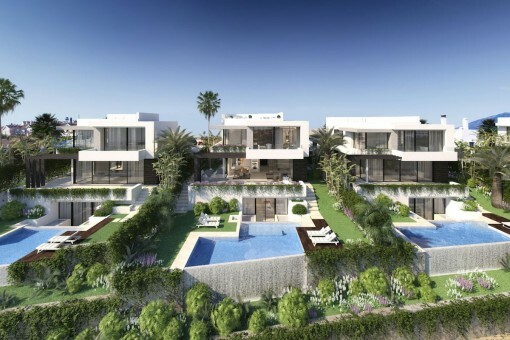 La Alqueria is Marbella´s most desirable, upcoming area, dotted with villas and attractively laid out apartments. La Alquería is home to all the best aspects of Costa del Sol living: tucked away in a secure environment with surveillance, where peace and privacy reign in the midst of stunning natural surroundings, but with the glamorous and sophisticated attractions of Marbella city centre and Puerto Banús just a few minutes away. La Alqueria has a local supermarket, international school, sport facilities and is near the picturesque village of Benahavis, renowned for its gastronomy with the highest concentration of quality restaurants in the Costa del Sol. This contemporary and modern villa is finished with a wooden façade cladding and natural stone elements. Furthermore equipped with the best installations and use of high quality materials, designed for ease of use and functionality makes this villa truly one-of-a-kind. The interior lines that make up the architecture and interior of the villa are finished with the utmost attention to detail and quality, utilizing contemporary and distinctive materials. The villa has a built size of 369 sqm plus spacious basement of 303 sqm with a huge open plan space, on a plot of 1.573 sqm. 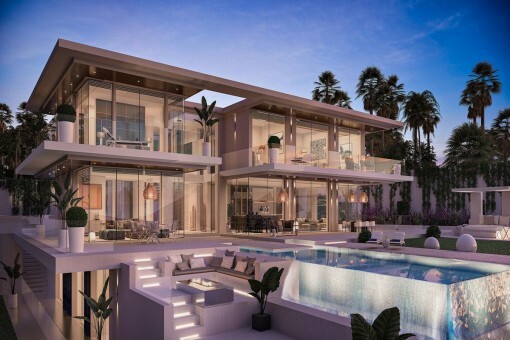 The entrance on the first floor will provide one of the most amazing features of the villa, the breath-taking view through the double high ceiling panoramic windows. 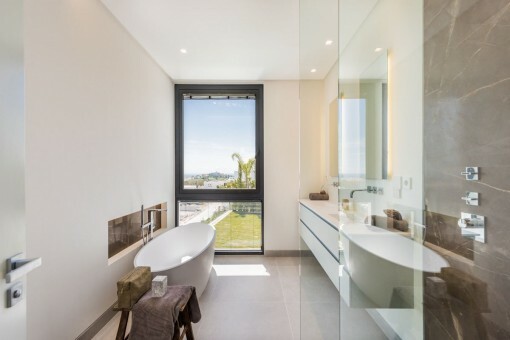 The first floor gives access to the master suite and 3 more bedrooms all with bathrooms en suite, access to the balconies and the spectacular view. Next to the entrance door the elevator is located and gives access to all floors. The large basement covers a total built space of 303 sqm with climate-controlled bodega, technical rooms, laundry room and 2 more bedrooms with bathroom en suite. One of those is a large 45 sqm bedroom with 2 high windows and French balconies, overlooking the golf area and Mediterranean. The large open plan space (95 sqm) next to the staircase and elevator is ideal for creating a gym, wellness, home cinema or extra bedrooms. 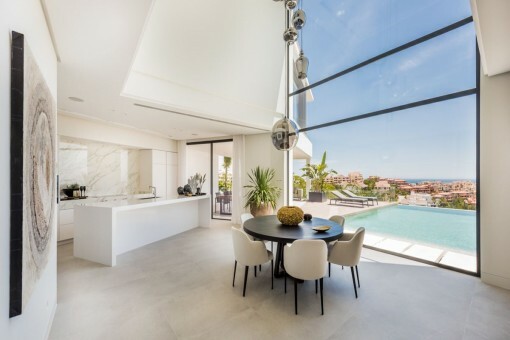 The features of this turnkey villa include individual controlled, hot and cold air conditioning, underfloor heating, Sonos multiroom audio system, elevator, alarm system, domotics units for central control of screens, curtains and lighting, a heated pool with LED RGB lighting and automatic cover. The villa is fully decorated with designer interiors, a beautiful blend of modern Italian pieces with warm fabrics, tree tables and elegant decorations. La Alqueria is located in the municipal area of Benahavís, which is a development of large building plots for single-family homes, many of which now house large, luxurious villas, that offer easy access to local services and enjoy a stunning view over the La Alqueria golf courses, the mountains and Mediterranean. The Atalaya Golf and Country Club, offers 2, challenging 18-hole rounds as well as a popular restaurant among golfers. La Alquería is close to the Colegio Atalaya and Montessori School. Estepona, Puerto Banús, and the centre of Marbella are all less than 15 minutes away by car, International Airports Malaga and Gibraltar are less than one hour away. 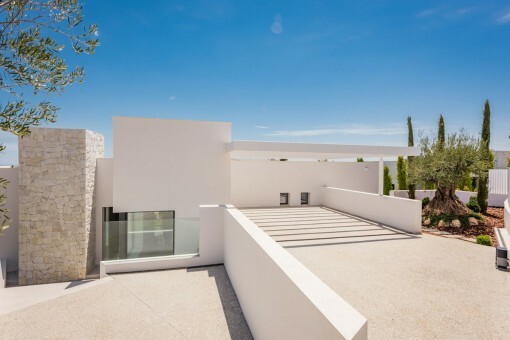 I'm interested in: Spectacular contemporary villa in Las Alquerias, Benahavis with amazing view (Objekt-Nr.119342). 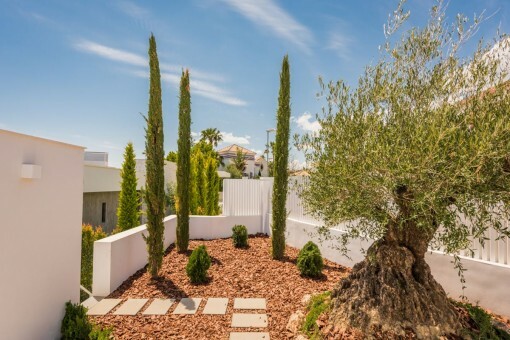 you are reading: Spectacular contemporary villa in Las Alqueria, Benahavis with amazing panoramic view on golf courses and the Mediterranean - purchase · Porta Andalucia Rating 5,0/5 by 2 testimonials.